2019 is going to be intense for me for multiple reasons. In addition to working full-time and being a part-time student, I’ll be entering into my coaching certification program, along with launching my own coaching business (and running this blog!). It will be incredibly important for me to balance all of these professional pursuits and still lead a fulfilling personal life by seeing my loved ones, practicing self-care, and doing other things that make me happy. I’m not the only one who leads a busy life. We all do. And we can all use some new ideas to achieve the life that we want and deserve. Keep reading to gain some new ideas, tips, and resources. This can be a hard one for a lot of people. Many people, including myself, don’t want to disappoint anyone or say that we can’t do something. Being able to meet current responsibilities is important. You can always come back to something new after another responsibility is over. One of my favorite ways to make sure that I can get everything I need to get done is by getting organized. For me, getting organized means blocking out and scheduling things in both Google Calendar and in my paper planner. I’ve always said that if it’s not in my Google Calendar or my paper planner it doesn’t exist. 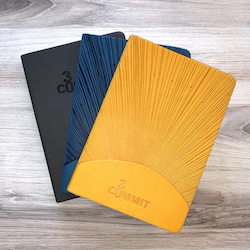 I currently use a planner that I bought at Target, but I’ll be switching to the Commit30 Planner. 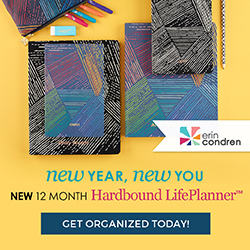 They have multiple types of planners as well as journals and accessories. Try out a few different things to get organized and see what works for you. With so many things going on, it can be hard to focus on what you’re doing right now. Often this can lead to anxiety. One tip for this is to practice grounding, which helps you focus on the here and now. My favorite way to practice grounding is using the five senses method. Name…5 things you can see, 4 things that you can touch, 3 things that you can hear, 2 things that you can smell (or 2 scents that you like), and 1 thing you can taste (or one thing you like about yourself). Do you know who you can go to when you need to talk? Or who to go to for homework help? If not, take a few minutes and write down some names of people that you feel you can reach out for different areas of your life. You might reach out to your father to ask about the correct temperature to cook pork chops (personal experience) but not about your calculus homework. If you’re like me, you’re on your computer or phone nearly all of the time. Let all of this technology work for you! As a person who writes all the time for both my full-time job and this blog, Grammarly has been invaluable. Grammarly makes sure that everything that you type is free of errors and can be used nearly anywhere that you write online. I’m using it to help me write this blog post ;). You can also download it to use on your Windows PC or Mac. Positive affirmations and positive self-talk can do wonders for your mental health. Like the last part of the grounding technique, it focuses on the positive aspects of you, and not on what you aren’t. What are YOU hoping to achieve? Your life is your own and you don’t have to do something that is not what you want or set your standards on what other people think you should want. Are you doing x because you want to do it or because someone else thinks you should? Set your goals and standards for achievement based on what you want or need. If you’re okay with a B in a class, then shoot for that B. If just passing is what you need, do what you need to pass. Everyone feels stress differently and it is important for you to recognize your own signs of stress or anxiety. For me, signs of stress include getting irritable, headaches, and neck pain. Other signs could include stomach pains, insomnia, feeling depressed, or under/overeating. Take some time and figure out what your signs of stress are and engage in some self-care to relieve them. Self-care can seem like a luxury when you are busy. But it doesn’t have to be. Even the smallest act of showing yourself some love can help to re-energize you. You could try: going for a walk, ordering in your favorite meal, or drinking a glass of water. Self-care doesn’t have to be hard or expensive. If you’re feeling overwhelmed, know that there are resources out there that you can reach out for support. If you are in crisis, you can reach out to the National Suicide Prevention Lifeline through phone (1-800-273-8255) and online chat or Crisis Text Line via text message (741741) or through Facebook Messenger. I hope these tips help you to achieve the work-life balance that you deserve. Ah needed these reminders! Thank you! Now these are some great tips! I use Google calendar and my bullet journal, both key pieces to keeping me organized with low stress. Thank you for sharing! Sometimes we get so caught up on doing so much that we miss out on everything else. Balance is so important especially when you wear many hats. Thanks for sharing!! Great list! Support systems mean so much as you grow older. I learned that the consistent people who were always there consistently made a huge difference. These were really great tips. Organization is a big one for me and having juggle the schedule of myself, my husband, and our kiddos. Thanks for the reminders and tips. Seems like you’ve got a lot going on. I’m sure you’ll do excellently!